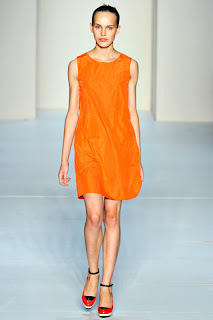 With New York Fashion Week drawing to a close, the task of compiling my list of Top Ten Breakthrough Faces for the Spring/Summer 2012 NYFW season has proven to be arduous. The ten models listed in this post are all undeniably beautiful and blessed with an exquisite physicality. What these models possess however which has been lacking in seasons past is personality and a distinct focus on individual beauty. Take a gander and let me know if you agree with my selection or if you think I have overlooked one of your own favourites. 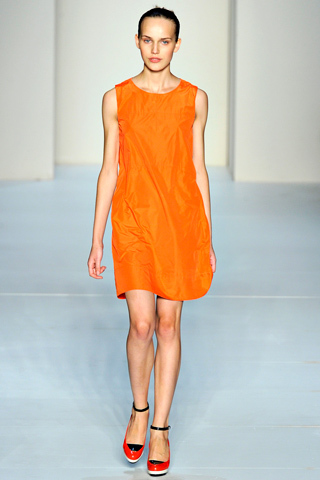 Dutch sensation Josefien Rodermans was a vision of pure loveliness as she opened and closed for Calvin Klein on the final day of New York Fashion Week. The 180 cm tall beauty is represented by Women Model Management and possesses a tough yet endearing insouciance which is reminiscent of Freja Beha Erichsen. 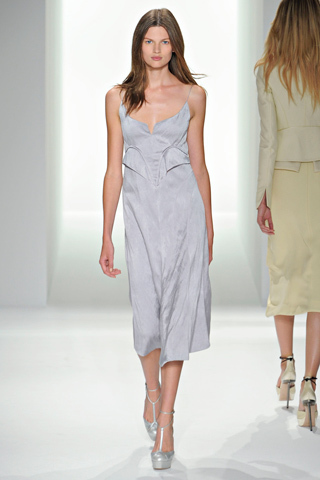 With a Calvin Klein exclusive under her belt, Rodermans looks poised for a stellar season ahead. 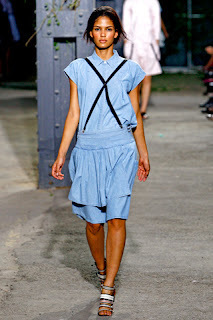 Poland's Karolina Waz blitzed an imposing trail through New York Fashion Week with her star turning opening slots at BCBG Max Azria and Marc by Marc Jacobs, as well as her appearances at Cushnie et Ochs, Doo Ri, Thakoon, Band of Ousiders, Carlos Miele, Vera Wang, Tory Burch, Michael Kors, Elie Tahari and Ports 1961. 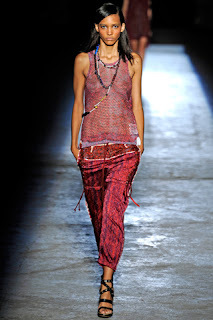 Represented by Ford Models, Waz has industry pundits fawning over her pristine beauty and illuminating runway presence. Cora Emmanuel is the surprise package of New York's Fashion Week. Discovered at the 2008 Elite Model Look of the Year, Emmanuel failed to place within the top 25 competitors. Now represented by NY Model Management, Emmanuel true star potential is being realised with riveting appearances at Alexander Wang, Michael Kors, Elie Tahari, Edun, J. Crew and Tommy Hilfiger. The Martinique-born native stands at 180 cm and possesses the kind of bone structure and gazelle-like dimensions that model agents dream of. Fifteen year old Swiss model Valerija Sestic charmed her way through New York Fashion Week with her felinesque features, beguiling presence and adorable personality. 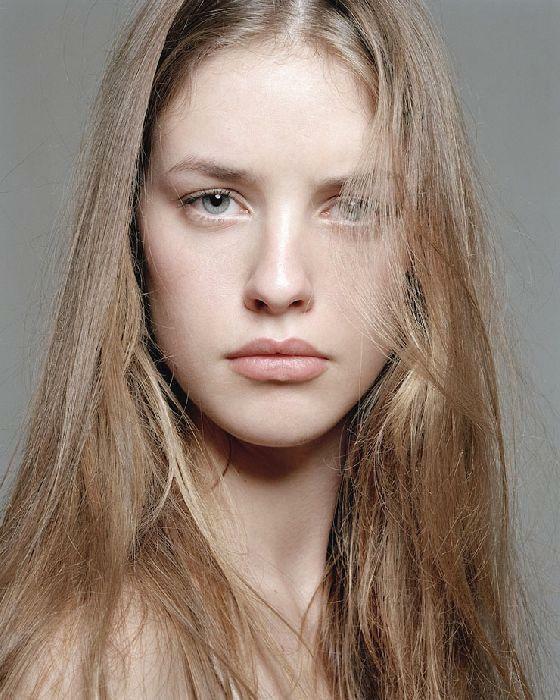 Represented by Women Model Management, Sestic is 176 cm in height and owes her exotic looks to her Croatian heritage. Sestic was ubiquitous during New York Fashion Week, walking for BCBG Max Azria, Rag & Bone, Doo Ri, Prabal Gurung, DKNY, Y-3, Carolina Herrera, Mar by Marc Jacobs, Herve Leger, Tory Burch, Rodarte, Oscar de la Renta, Theysken's Theory, 3.1 Phillip Lim, Ports 1961 and Philosophy. Hailing from the Dominican Republic, Cris Urena's sophisticated beauty coupled with a killer physique and diligent work ethic has the fashion industry in raptures. Represented by New York Model Management, nineteen year old Urena brought her trademark sizzle to the runways of Herve Leger, Band of Outsiders, Ruffian, Rachel Roy, Elie Tahari and Peter Som. Urena possesses that rare mix of high fashion moxie and girl next door appeal which will make her an attractive option for a broad spectrum of clients. Daga Ziober's star has been steadily on the ascent since her Calvin Klein exclusive debut at the Fall/Winter 2011 shows. 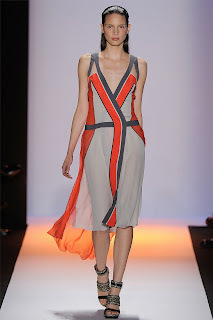 The Polish newcomer stunner left all in her wake at New York Fashion Week, logging serious runway mileage at Herve Leger, Donna Karan, Peter Som, Richard Chai, Alexander Wang, Altuzarra, Calvin Klein, Doo Ri, Diane Von Furstenburg, Micahel Kors, Rag & Bone, Prabal Gurung, Reed Krakoff, Tommy Hilfiger and Theysken's Thoery. Represented by Marilyn Model Management, seventeen year old Ziober stands at at 177 cm and has a quiet ethereal-like quality that translates beautifully onto the runway and in print. French model Julia Frauche has the kind of mesmerising beauty that stays with you long after the final turn on the runway. At 178 cm in height, Frauche stands out from the model pack with her melancholic eyes which emit an intensity of emotion that is all too missing from today's vacant-eyed models. Frauche landed only the most blue chip of bookings at New York Fashion Week, walking for Calvin Klein, Altuzarra, Derek Lam, Carolina Herrera, Jason Wu, Reed Krakoff, VPL and Tommy Hilfiger. Frauche's je ne sais quoi allure and sophistication will make her an attractive proposition at the shows in Milan and Paris. Runway veteran Bette Franke is experiencing what can only be described as a rebirth in the modelling world. Franke made a triumph return to the runway at New York Fashion Week with a staggering 16 show tally. There is a distinct shift in Franke, from the confident swagger in her strut to her newly evolved womanly sensuality. Credit has to be given to Franke's management team at DNA Models for relaunching her onto the catwalk circuit at a time when Dutch models are very much in Vogue. Franke has never looked better walking for the likes of Calvin Klein, Alexander Wang, Donna Karan, Marc by Marc Jacobs, Oscar de la Renta, Carolina Herrera, Proenza Schouler, Derek Lam, Rag & Bone and Reed Krakoff. California girl Jasmine Tookes looks set to make the crossover from commercial modelling to high fashion with her stellar runway appearances at New York Fashion Week. Tookes tread the catwalk for Carlos Miele, Cushnie et Ochs, Peter Som, Elie Tahari, Jason Wu, Vera Wang and Tracey Reese. It was Tookes appearance however at the Calvin Klein show on the final day of NYFW which has Tookes marked as one of the "it girls" for the season. With recent appearances in Sports Illustrated, Vogue Italia and campaigns for DKNY, Gap Jeans and Abercrombie & Fitch, Tookes is a model capable of appealing to the masses. Tookes verstaility and mass market appeal could be just what high fashion houses need in these recession cash strapped times. As Germany is my newly adopted homeland, I am delighted to include Hamburg native Brenda Kranz in my top ten breakthrough models of New York Fashion Week. Kranz is part of Ford Model's battalion of new beauties storming the runways during the Spring/Summer 2012 season. Kranz was riveting in her 14 show appearances which included BCBG Max Azria, Herve Leger, Zac Posen, Chado, Doo Ri, Richard Chai, Theysken's Theory, Adam and Port 1961. Kranz has an imposing runway presence and the most sublimely svelte figure and impeccable bone structure.